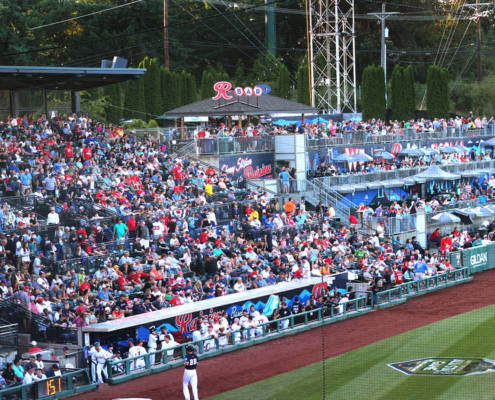 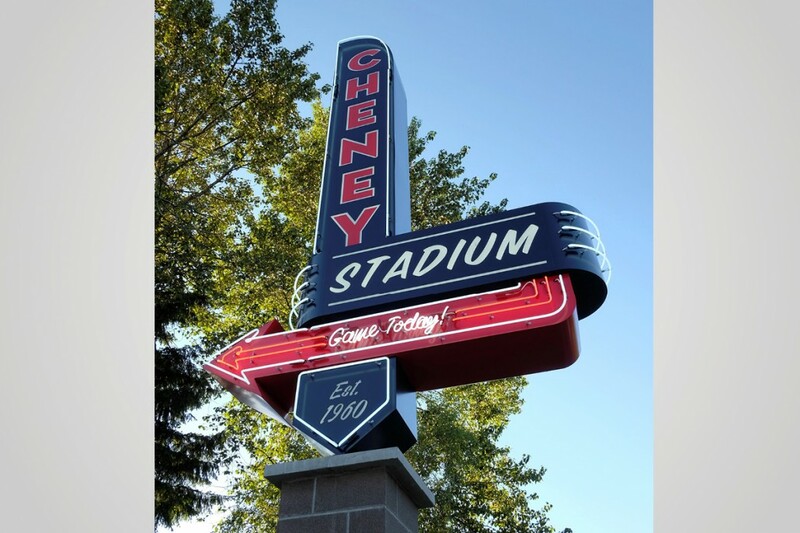 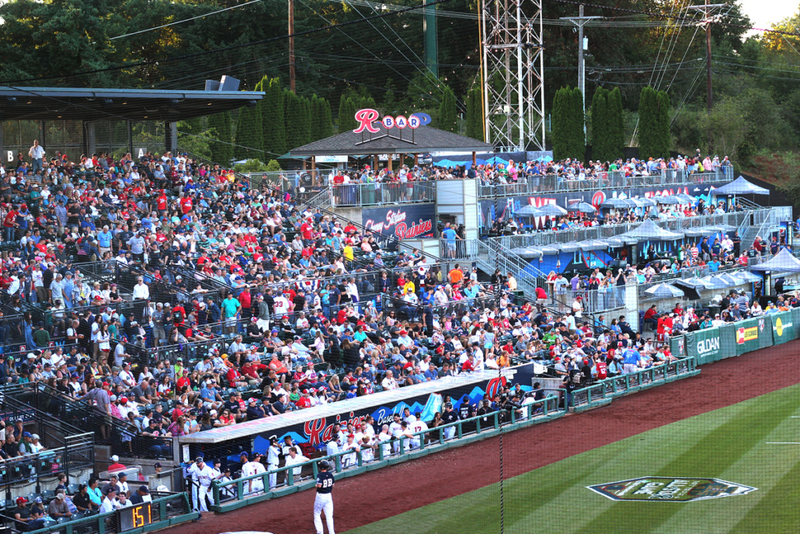 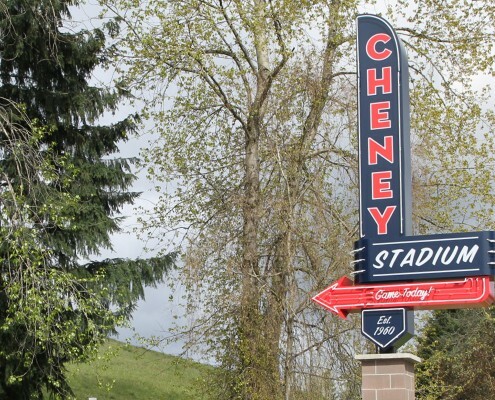 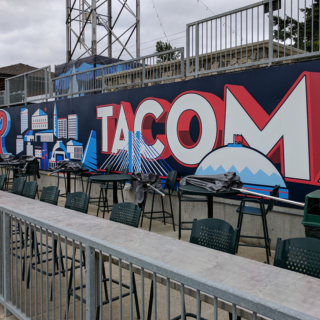 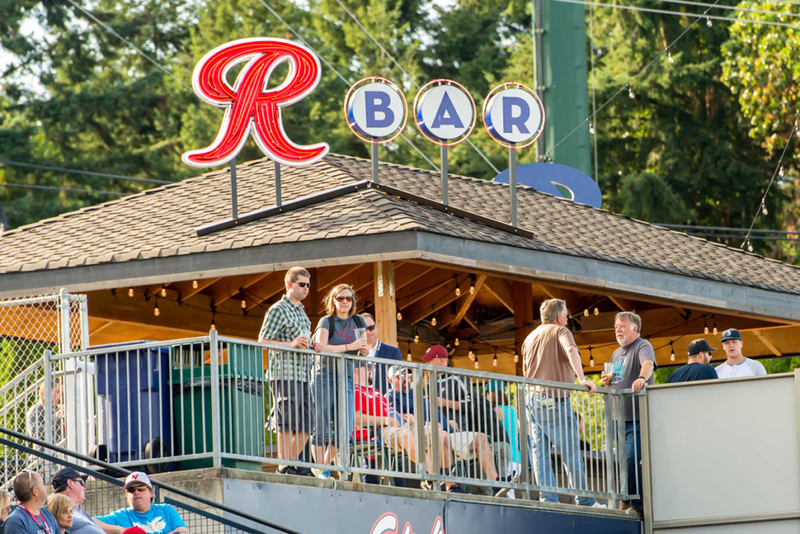 Cheney Stadium has been a centerpiece of the Tacoma area since its construction in 1960, but it has always been difficult to find. 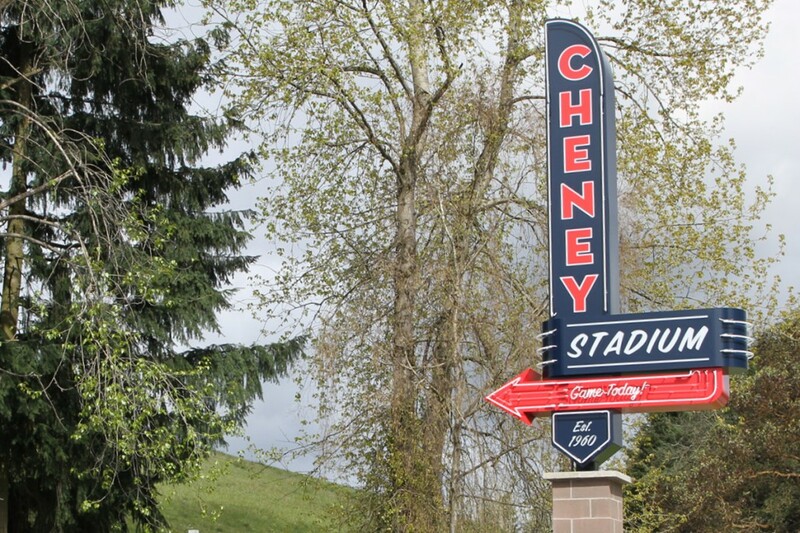 It has two entrances, but the stadium itself can’t be seen from either. 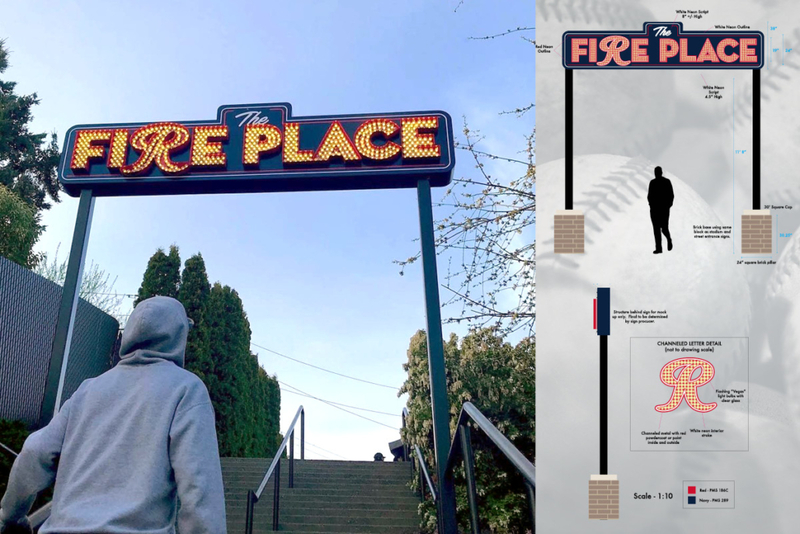 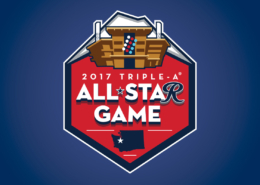 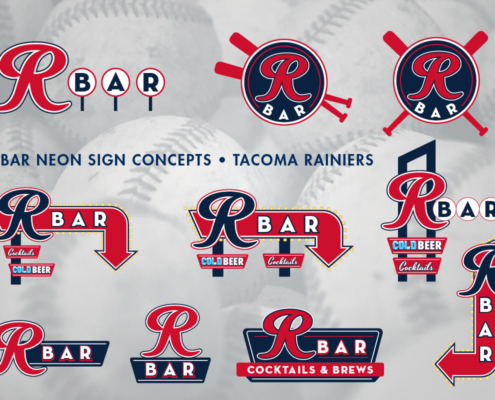 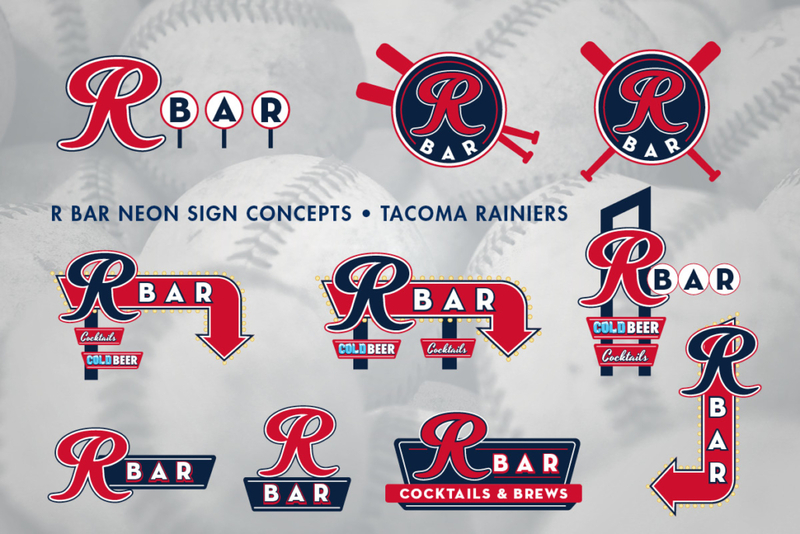 So, prior to the 2014 season I was given the task to create a pair of new signs that would help guide the Rainiers’ loyal fans to the gates. 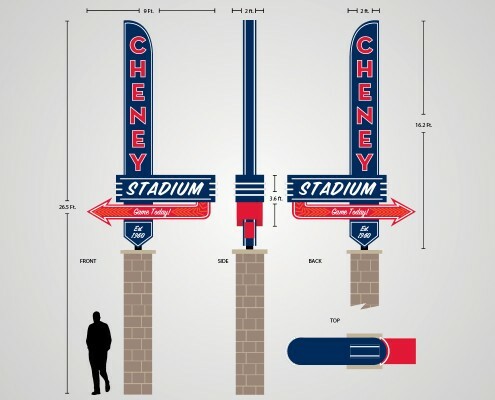 I wanted the design and materials of the signs to have a vintage sensibility that would make new visitors question whether the structures had been there since the stadium opened. 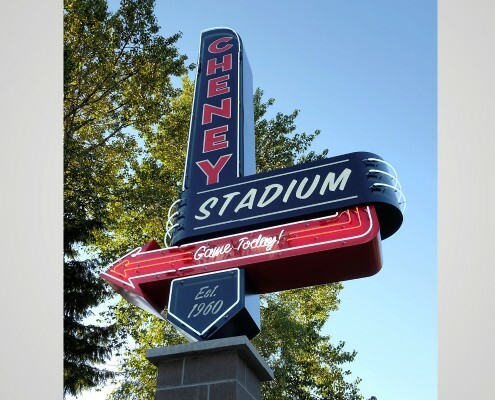 The “Game Today” neon script was added as a reminder to the many drivers that pass the entrances each day. 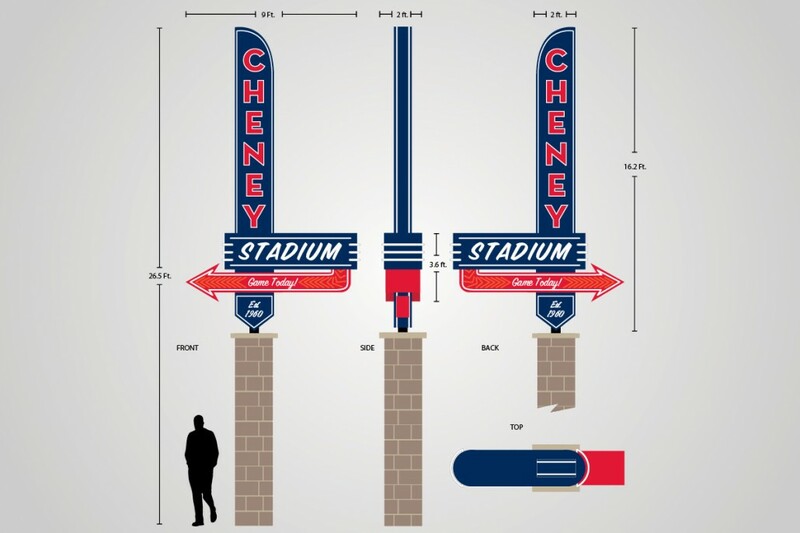 I also worked with the great staff at Plumb Signs throughout the construction process. 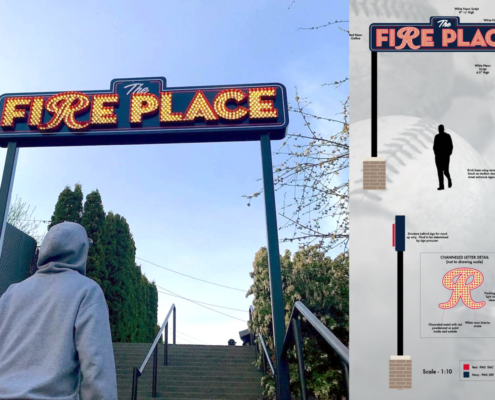 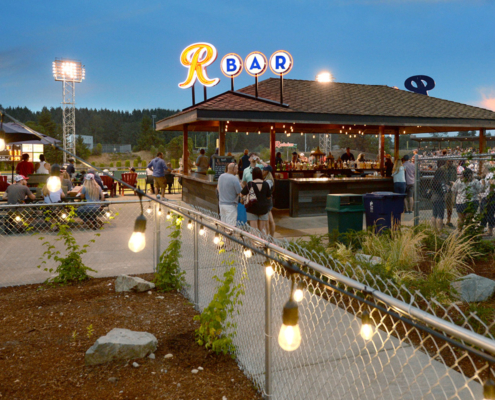 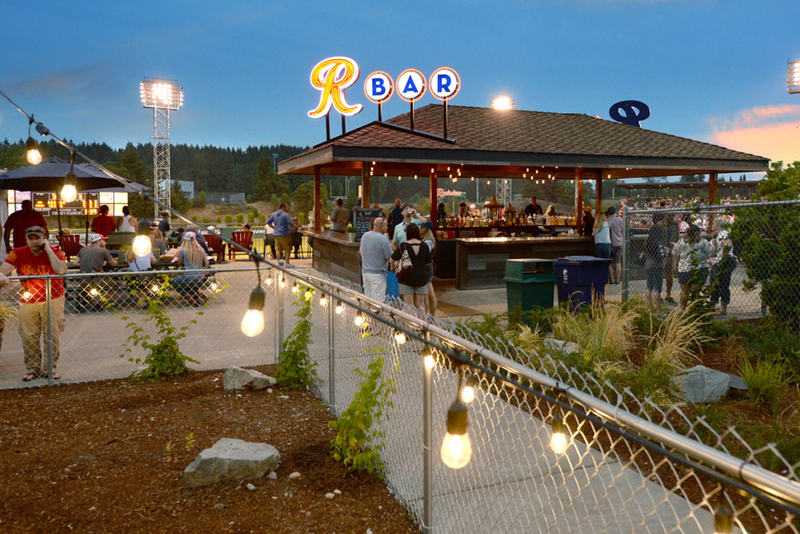 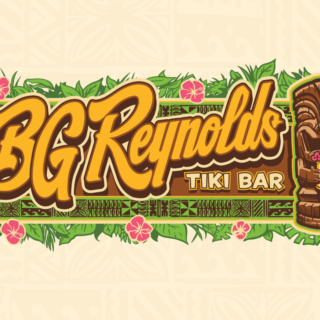 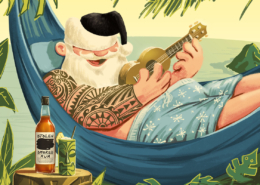 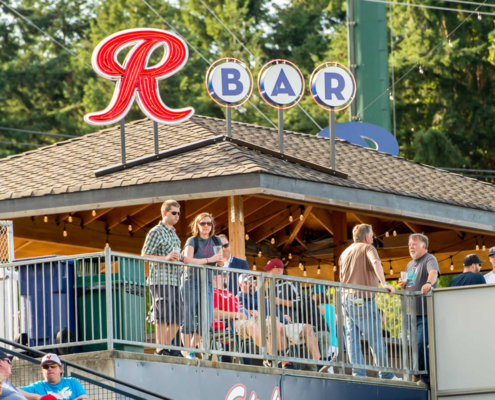 After the success of the entrance signs, more designs were ordered to help add some old-school spectacle to new areas of the park including R Bar and The Fireplace outdoor deck.